LM came with us and was one half of our cheering squad. There was quite a wait before the race started so we got ourselves some warm drinks and then walked up the promenade picking out all the spots we recognised from Gavin and Stacy. 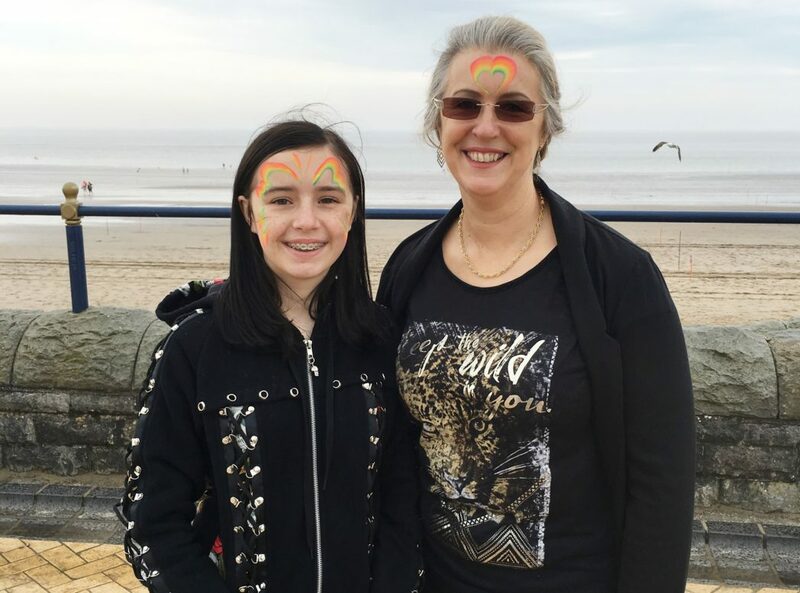 I was a small child the last time we visited Barry Island so it was nice to see how much it has changed. Before we knew it the warm up was starting and then it was time for the paint party! 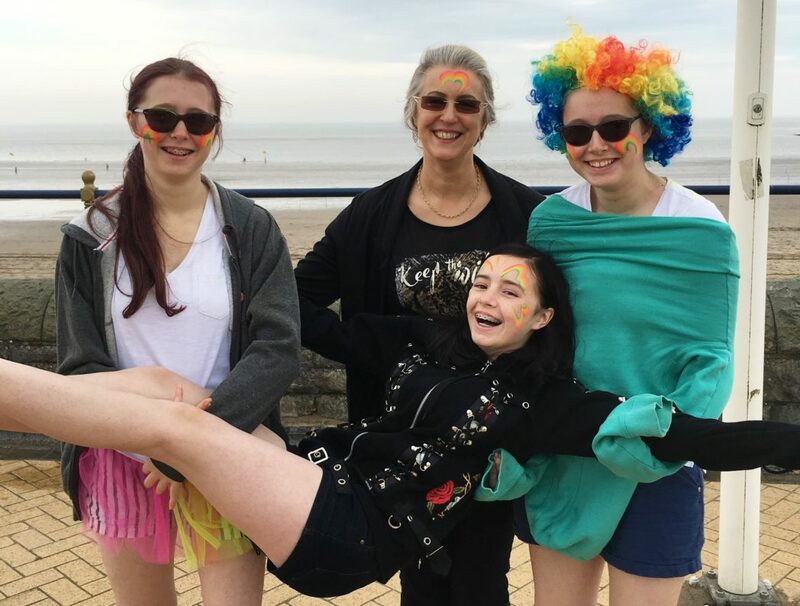 Mam, who was official photographer of the day decided she was going to avoid getting covered in the paint so she went back up to the promenade until the risk of being rainbowfied was over, although we did manage to give her some lovely green streaks in her hair before she run away! The run itself went much better than I expected (running is not really my ‘thing’!) we actually half jogged, half walked at a fast pace. Some of the sand was very soft which made jogging the entire route near on impossible. 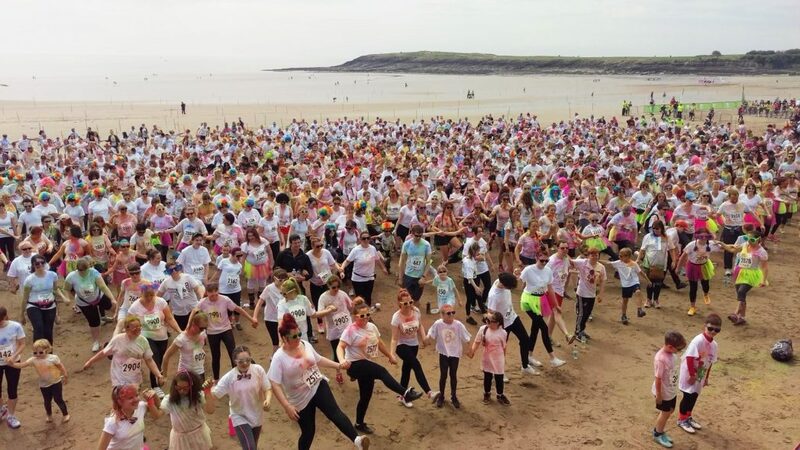 The route itself zigzagged back and forth across the beach and at each corner were the paint stations where the runners were covered in powder paint, each station having a different colour. 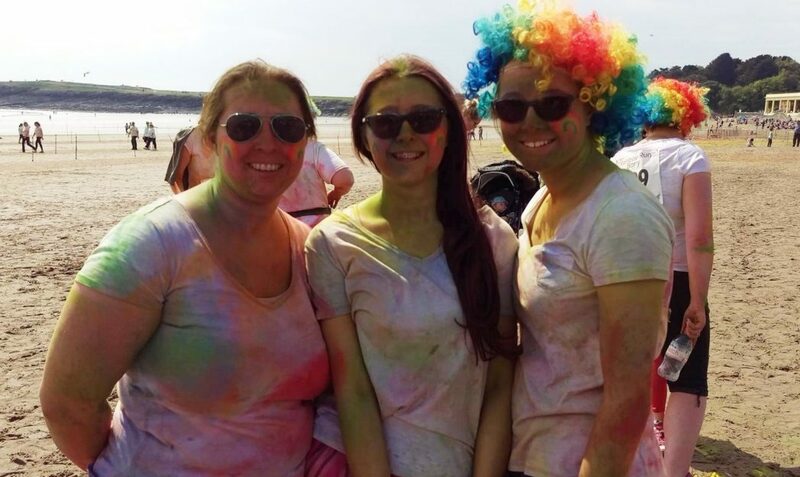 One of the stations was a bit of a shock, instead of the expected powder paint we were squirted with green sea water, not only was this cold and icky, mixed with the rest of the paint, it made you look a bit like a mouldy zombie! 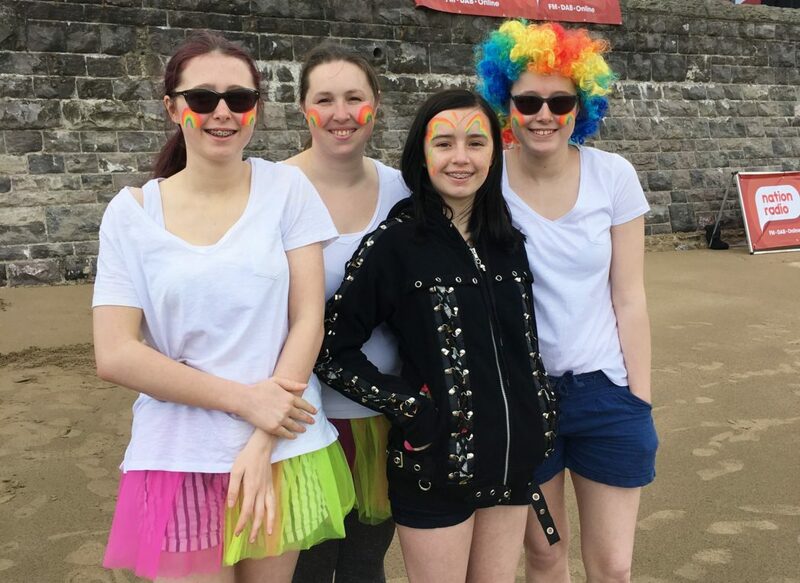 To see more of our rainbow run feel free to watch this quick little video and don’t forget you can still donate to this really worthy cause via my just giving page. 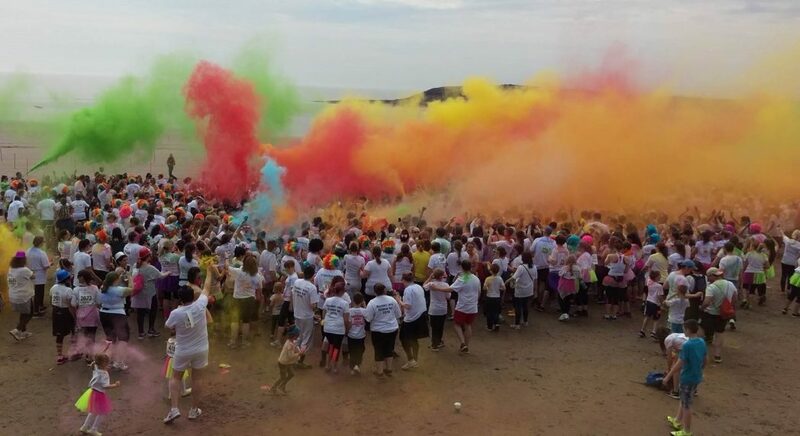 Have you ever taken part in a rainbow run?